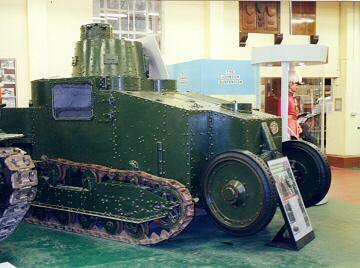 This vehicle was classed as an armoured car, hence the D designation. The idea was that it would run on wheels when possible, thus saving on track wear. 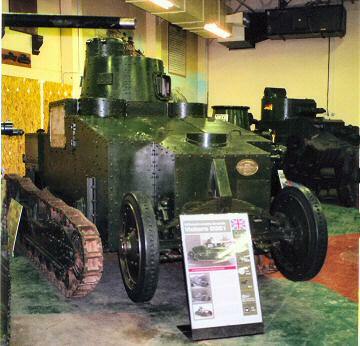 D3E1 had two turrets, although only one of these remains on the vehicle, which is on display at Bovington. 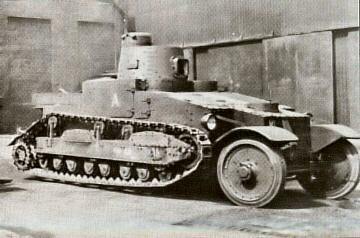 Apparently, no armament was ever actually fitted. The engine was an Armstrong Siddeley V8 giving a top speed of 30 mph on wheels and 13 mph on tracks. 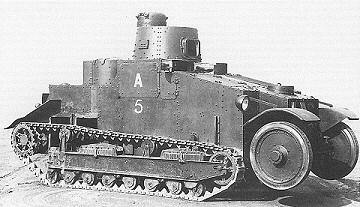 A further unturretted vehicle, D3E2 was also built. Both vehicles were delivered in May 1928. 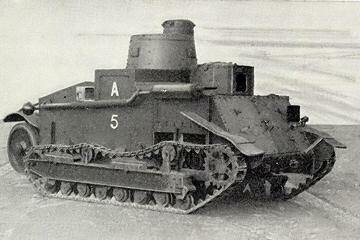 The design of these vehicles was very cumbersome and mechanically complex. They were never adopted into service.